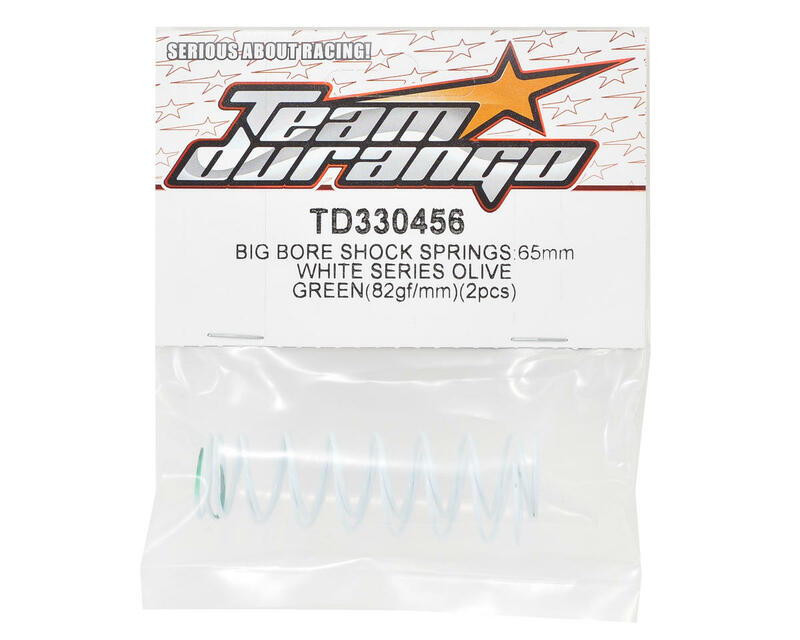 This is the optional Team Durango "White Series" 65mm Olive Green - 63.68gf/mm (3.57lb) Rate Rear Big Bore Shock Spring Set. 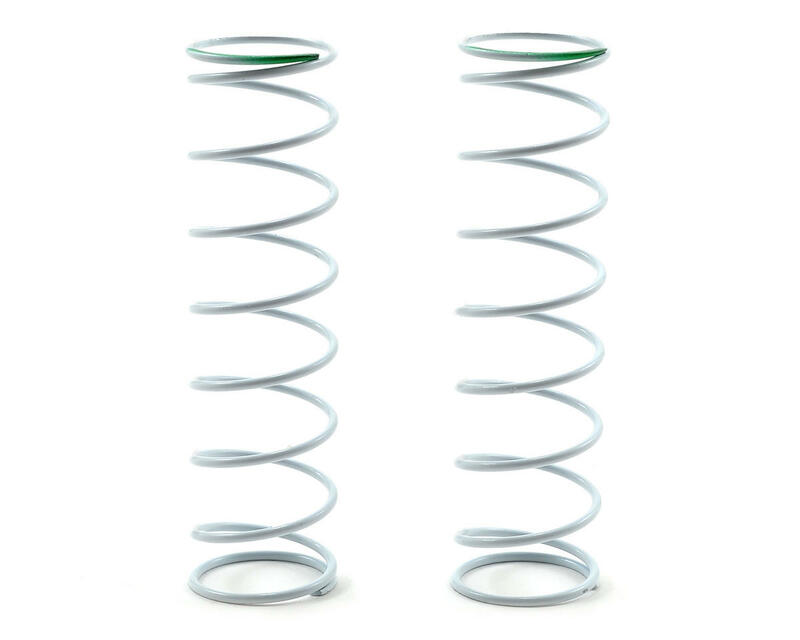 The Durango "White Series" springs deliver stiffer spring rates than the standard black springs. These springs are compatible with the entire range of Durango vehicles equipped with big bore shocks, but are best suited to vehicles that have longer suspension arms, such as the DESC210 and DESC410 short course trucks. The "White Series" springs are available in rates listed from medium to hard. These are three steps stiffer than the softest "White Series" rear springs.